It’s been eight years ago this week, from January 29th to be exact, when in 2011, Terry Pegula reached an agreement with Tom Golisano to purchase the Buffalo Sabres, making a seismic change on the Buffalo sports landscape and the city of Buffalo in general. It’s incredible to see how much has changed both on and off the ice for the Sabres. In January of 2011, you would hear Lady Gaga dominating the airwaves, the Jersey Shore being the new hit reality TV show, the Bills being, well the Bills, and the Sabres sitting just over .500 at 23-21-5 far out of the playoff picture. That Sabres team was still led by their goalie Ryan Miller who was putting up another good season without a lot of help (minus Thomas Vanek, who was having his best overall year as a Sabre with 32 goals and 73 pts). If you were to attend a Sabres game there was no Harborcenter, 716, Canalside, Riverworks, or Labatt Tasting House to go to before the game, just massive parking lots around the arena. The city of Buffalo was just in its’ infancy of renaissance with small eateries and breweries just starting to find their footing, while the area itself was just stabilizing population wise. Sabres fans had hit a point of exhaustion having a team not good enough to make a long playoff run after losing their two captains a few years earlier, but good enough to make the playoffs due to ownership running the team on salary cap budget. Yet on January 29th, there is news of the Sabres being bought by a billionaire who would immediately become one of the five wealthiest owners in the NHL. The Sabres teams of the late 1990s were embraced for their blue-collar ethic and resilience despite the lack of talent similar to the pride Buffalonians feel for their city which had been a punch line nationally. This Pegula fellow was a bit of a different mindset and it would take a little time to understand it. The Pegulas have had their warts as owners from their awful record with the Sabres to their issues early on establishing a cohesive hockey operation. But one of the things that have to be recognized is mentality-wise Sabre fans no longer have to question if the team can afford this player or will we ever make a move even if it costs the team some assets. 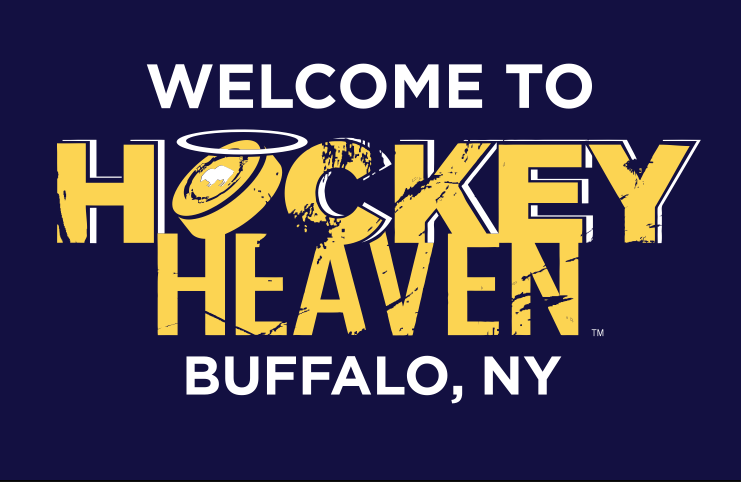 The Pegulas wish that the winner they wanted on Day 1 would already have happened, but looking at the development in and around the arena the transformation to “hockey heaven” certainly is real. Looking at everything outside the roster, Buffalo has hit home runs. The Sabres have been credited league-wide for having some of the best facilities in the NHL and one of the reasons Buffalo gets the NHL scouting combine is the amazing facilities available. Pittsburgh and Chicago both have mimicked Buffalo’s creation downtown because of this success. The current roster frankly could use some of the depth that the 2011 team has, but with Jack Eichel, Jeff Skinner, Sam Reinhart, and Rasmus Dahlin, there is a core in place that never fully existed and cemented for that 2010-2011 roster. Instead, the 2011 roster had guys like Jordan Leopold on defense and Rob Niedermayer up front because that was what Buffalo was willing to bring in at the time. The acquisition of Brad Boyes was odd because he was actually a pretty good player at the time and not exactly cheap. For most Sabres fans, the 2010-11 team’s run to the playoffs was one of the most exciting and energizing feelings they had given the environment of the ownership around it. The game-winning goal by Thomas Vanek in overtime over the Flyers to get the Sabres in the playoffs is one of the best moments of the last decade. We are nearing a point where an entire generation of Sabres fans will never know what it was like to have to lose two captains in one summer or trade their MVP goalie or trade their Selke-winning center due to financial squabbles. They may be frustrated by the team’s performance and have to be patient for the ascension to finish, but once that happens they will just be able to focus on hockey. The city of Buffalo during this time frame has ascended and become a place people want to visit, again a foreign feeling that took time to get used to but a great one. Looking back on it, January 29th, 2011 was a day Sabre fans ended up being able to kill demons of worry and fear related to their team because of money or fit. It was the start of a rebirth for a city and team. The city has made great strides and it would be nice to finally have the Sabres catch up on their end. But at least we can just worry about hockey and nothing else.